Until recently, I had never heard of prolific author Walter Mosley before – a stunning omission since I found out he’s written over 50 books! His novel, The Last Days of Ptolemy Grey, was chosen as our All-County Reads selection for this spring, a book-centric event I always enjoy. I picked up a copy of the novel at the library and read it before going to hear Mosley speak. I was blown away by this powerful novel about family, aging, and memory. As the novel opens, Ptolemy Grey is ninety-one years old. He lives alone in a junk-filled, decrepit apartment and spends much of his time mentally living in the past and afraid of a myriad of threats in the present. Ptolemy is very isolated, except for his grandnephew, Reggie, who visits every few days and accompanies him to the grocery store and bank. He’s very confused when Reggie doesn’t come by for days and finally an unfamiliar teen boy shows up at his door. He turns out to be Hilly, Ptolemy’s great-grandnephew, though even after the boy explains this, Ptolemy remains confused. Reggie, the one person Ptolemy trusts and relies on, has died in a drive-by shooting. Ptolemy is even more confused than usual, as he accompanies Hilly to Reggie’s funeral. Ptolemy has plenty of nieces and nephews and other family members who seem familiar at the funeral, but their names and relationships to him swim in and out of his understanding. Two things stand out to him that day, though: Reggie’s two small children whose mother leaves the funeral to be with her boyfriend and 17-year old Robyn, a friend of the family who’s been staying at the house with Ptolemy’s grandniece since her own mother died. From that day on, Robyn and Ptolemy begin a unique and powerful friendship. When Robyn takes Reggie’s place and comes to Ptolemy’s apartment the next day to see if he needs anything, she’s not overwhelmed by the mess like most people. Instead, she immediately begins to clean things up, assuring Ptolemy that she won’t get rid of anything he wants to keep. He’s suspicious at first and watches her carefully, but Robyn works hard, first restoring Ptolemy’s bathroom to clean, working order and then tackling the rest of the apartment over the next days and weeks. Through this process, Ptolemy comes to trust Robyn. He knows he wants to help the orphaned Robyn somehow, as well as Reggie’s young children, but things have a way of slipping in and out of his mind. Although the novel is written in the third-person, the narration shows the inner workings of Ptolemy’s confused brain. He often drifts back to the distant past, to his own childhood, when an uncle/family friend named Coydog was both friend and mentor to Ptolemy (then known as L’il Pea), passing along all kinds of wisdom to him that now comes back to him in bits and pieces – and providing the reader with insight into Ptolemy’s earlier life. In the present, Ptolemy is often afraid of his surroundings and the people around him: scary Melinda, the drug addict who always asks him for money, as well as anyone unfamiliar to him. When Robyn takes Ptolemy to a doctor to try to help him with his failing memory, he is presented with a unique opportunity that might possibly give him a temporary glimpse into the sharp mind he used to have. There are significant risks, but Ptolemy knows that there are important things he must take care of while he still can…if only he could remember exactly what they are. This novel is moving and emotionally powerful in so many ways: the insight into Ptolemy’s fading mind, the joyful friendship between him and Robyn, the acute pain of growing old and becoming dependent. I couldn’t help but think of my own father-in-law who is 90 years old and whom we recently moved near us, and I wondered whether he is experiencing some of these same powerful, painful changes as Ptolemy. 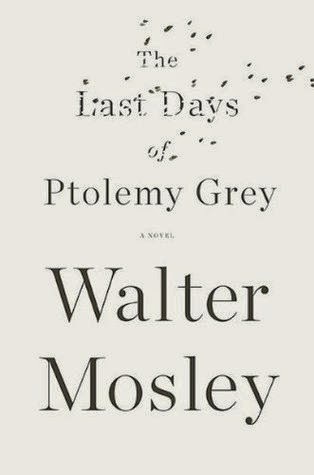 The Last Days of Ptolemy Grey is a thoughtful drama about family, memory, and aging, but it is also something of a fantasy about medical miracles that come with strings attached, making you wonder what you would do in Ptolemy’s situation. Mosley brings the characters and the settings to life in a very real way, through dialogue, dialect, observations, and all the senses. His writing moved me greatly, and I still find myself thinking about Ptolemy and his world, almost a month after finishing the novel. I can’t wait to read more from Mosley. Look for my upcoming post on Walter Mosley’s excellent talk for our All-County Reads program. I recently listened to the middle-grade novel Fish in a Tree by Lynda Mullaly Hunt on audio and thoroughly enjoyed it. This realistic, smart novel is all about not fitting in and learning that it’s OK not to be like everyone else. Sixth-grade Ally is struggling. Her classmates all think she is dumb, and her teacher and principal think she is a troublemaker. The truth is that Ally has serious difficulty reading but has never told anyone. She is smart, so she’s been good at hiding her disability for years, though misunderstandings caused by it often get her into trouble. Ally has plenty of strengths, too – she is very good at math and problem solving and can visualize things in her mind in a way that makes her an excellent artist. But most people don’t notice those strengths hiding behind her problems. Things change when Mr. Daniels becomes her new teacher, subbing for their regular teacher who went on maternity leave. Mr. Daniels is different from the other adults at Ally’s school. He doesn’t see her as a problem or a troublemaker. Instead, he seems to be the first teacher ever to understand what’s really going on with Ally. He does things differently in the classroom, too, assigning kids to work in teams so that Ally finds her first real friends, emphasizing problem-solving in a way that shows off Ally’s strengths, and coming up with fun, unique projects for the class. He also begins to work with Ally privately after school, to help her develop strategies to make reading easier. I really enjoyed this insightful, sensitive story and its brave but misunderstood main character. 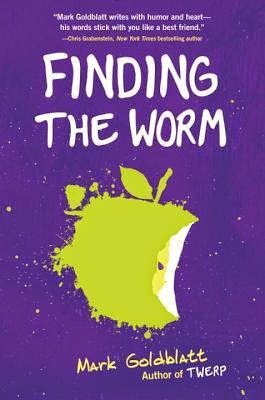 Kathleen McInerney does a great job narrating the book as Ally, and the author portrays dyslexia in a realistic and enlightening way. I loved Ally right from the beginning and was so angry with the adults around her who failed to see that she had a learning disability. I couldn’t understand how they could all be so dense, but apparently, this is a very common way for kids with dyslexia to be treated. Hunt herself has dyslexia and had a sixth grade teacher (on whom she based the wonderful Mr. Daniels) who finally recognized her disability and got her the help she needed. After finishing the book, I heard on the news that less than 30% of kids with reading disabilities are diagnosed and receiving school services to help them! I was astounded by this startling statistic and hope that books like Fish in a Tree will help to build awareness of this often-treatable problem. 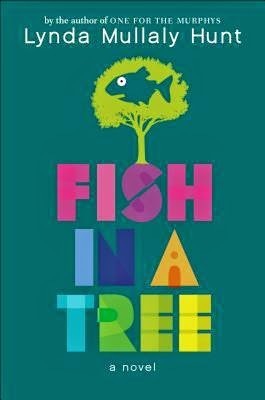 Fish in a Tree is a novel about a very important subject, and I learned a lot from it. 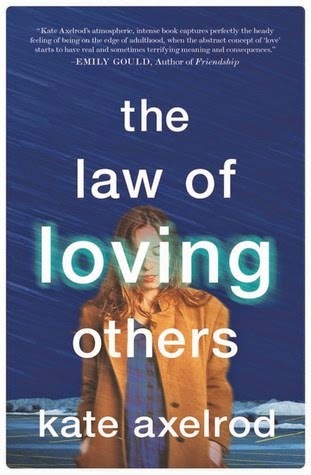 In addition to dyslexia, the novel also deals with bullying, friendship, and dealing with an absent parent (Ally’s father is on active duty in Afghanistan). However, it is also a very entertaining and enjoyable story about a young girl learning that it’s OK to be different and figuring out how she fits into her world. For more information on diagnosing and treating dyslexia, see the website Learning Inside Out. It's Monday 4/27! What Are You Reading? Whew, a very hectic weekend but a good one - got a lot done, especially in the yard which really needed the attention, had some fun, and enjoyed some family time. Now, it is the start of a new week...an exciting week! On Thursday, I leave for Booktopia, a bookish weekend retreat hosted by my favorite podcast, Books on the Nightstand. I have yearned to go to this event for years, and this year is the last year it will be held. I asked my mother to go with me, but we were put on the waiting list. We just got off the wait list a couple of weeks ago, long after I'd given up hope of going, so that was a lovely surprise. I'm a little nervous about managing a whole weekend event with my chronic illness, but mostly, I am just really excited about finally getting to go! I finished Fram by Steve Himmer, a novel that is one of the selections for Booktopia. This was a very unique and intriguing novel, about a man who dreams of being a polar explorer and works in a secret government agency where he invents Arctic discoveries (because the government decided long ago that real polar exploration is too expensive). Then one day, he is sent to the real Arctic for his job, in a mysterious, last-minute trip. It is a complex novel with many layers, dealing with work, marriage, government bureaucracy, daily life, and dreams. I enjoyed it but am glad I will be meeting the author this week - I have so many questions for him! Now, I have just started another book for Booktopia, Get in Trouble by Kelly Link, a book of short stories. I can't remember the last time I read a collection of short stories, but this one has already pulled me in. I loved the first story and couldn't stop thinking about it last night. I completely forgot to mention last Monday an audiobook I completed the week before last: Masterminds by Gordon Kormon, a middle-grade science fiction thriller. This is the first novel I've read by this prolific and popular author, and I absolutely loved it! It's about a group of twelve and thirteen-year old kids living in an idyllic town where all is not as it seems. I often read (and enjoy) the first book in a series with no plans to read the rest of the series, but this was an exception - I can't wait for book 2! 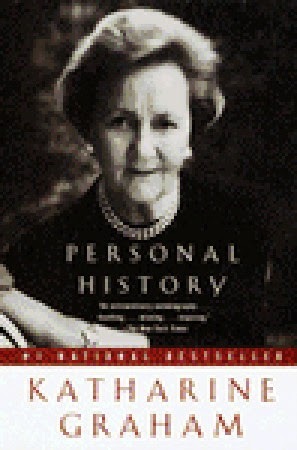 I am now listening to Rainey Royal by Dylan Landis, another Booktopia selection. This is an adult novel about a fourteen-year old girl growing up in the 1970's with her father who is an immature, musical genius who has turned their home into a kind of musical commune. Rainey understandably acts out in ways that make you both want to throttle her and protect her at the same time. It's riveting so far, and again, I can't wait to meet the author! I finished Asterios Polyp by David Mazzucchelli, a graphic novel for adults. It was captivating and thoughtful - very philosophical. I enjoyed it, and it made me think. My husband, Ken, has been reading a thriller I gave him for Easter, Silken Prey by John Sandford. It's the first Sandford novel he's read (I heard about the Prey series on the Books on the Nightstand podcast! ), and he's enjoying it so far - nothing too deep he said, just fast-paced fun. Jamie, 20, has been busy with school but started Mountain Man by Keith C. Blackmore, a book his dad lent him, to continue his Zombie obsession. Saturday Snapshot - Spring finally arrived and everything is in full bloom! 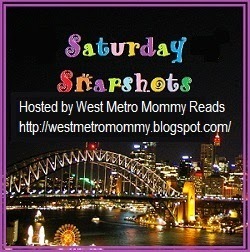 All three of those books I reviewed last week were excellent, so check them out. 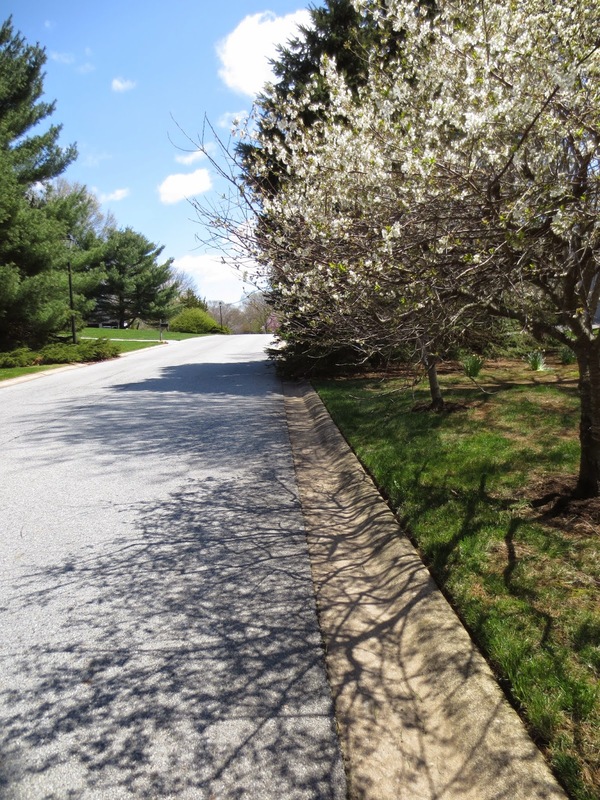 Beautiful trees & flowers in our neighborhood are all in bloom! As regular readers of this blog know, I have been exploring graphic novels for the past six months or so and have discovered some that I’ve really enjoyed. 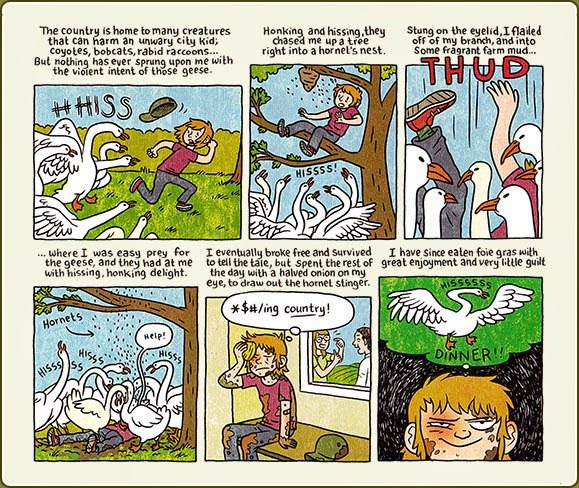 So, when a blog reader told me about a graphic novel that is a memoir about food, I was sold! 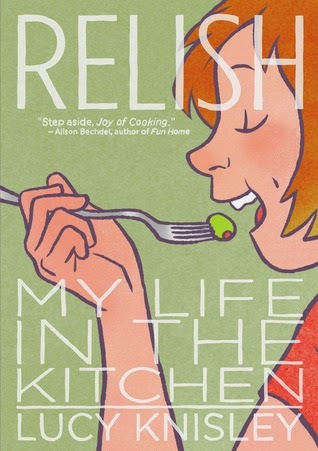 I love food and cooking and memoirs, so Relish: My Life in the Kitchen by Lucy Knisely was right up my alley. I immediately requested it from my library and read it as soon as it came in. As expected, I loved this combination foodie memoir and cookbook. The memoir covers Knisely’s childhood, from when she was very young through college and a bit beyond. She focuses on how food influenced her early life, which is, in her case, pretty much the full story of her childhood. Her parents were foodies, and she grew up among people who made their living through food – her mom worked in food stores, restaurants, and eventually opened her own catering business. Her godfather was a restaurant critic, and her dad was just an aficionado of great food. Knisely ate poached salmon as a baby on the day she was baptized, colored in a corner of the restaurant kitchen where her mom worked, and help her dad make homemade salad dressing each night for dinner. Place is almost as important as food in this memoir, and Knisely brings places and foods equally to life within its pages. She first lived in NYC with her parents and later in a small town in rural upstate NY with her mom where they had a garden and frequented farmer’s markets, both to buy and to sell. Later, Knisely attended college in Chicago, which was just experiencing its own foodie revolution at the time, and explored the unique flavors there as well. Interspersed with interesting and amusing stories about her childhood are recipes, also written in graphic format. The recipes fit into her story and are an integral part of the flow of the whole memoir. She includes recipes for a wide variety of foods, everything from spice tea to marinated lamb to sushi to homemade pickles and more. The recipes are all simple and easy-to-follow, written with Knisely’s drawings not illustrating them but as the primary media (with simple written instructions alongside each picture). 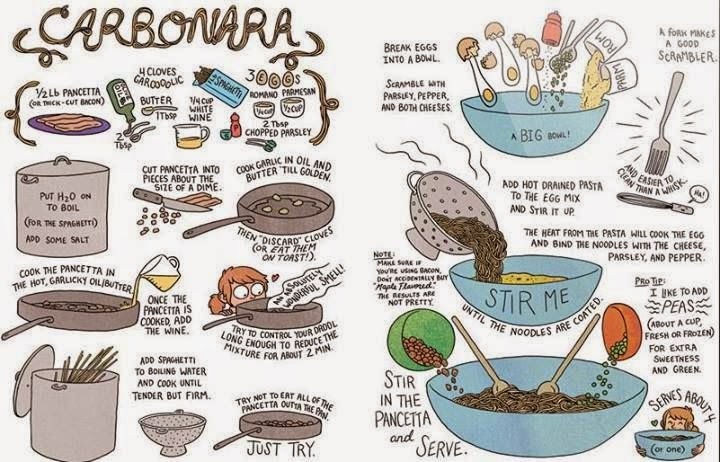 If you are a visual learner, you’ll love recipes written this way! They all sound delicious. All in all, I absolutely loved Knisely’s memoir/cookbook and devoured it (pun intended) in just a few days. Her drawings are fun but realistic, and she has chosen stories from her early years that highlight food but also give you a complete picture of her childhood and the adult she became. It is both a coming-of-age story, as well as a celebration of good food and cooking. I was absolutely thrilled to learn that Knisely has written other graphic memoirs and immediately requested French Milk from my library, which I hope to start today. I thoroughly enjoyed this introduction to Knisely and her work and can’t wait to read more! NOTE: Although this is a book written for adults and is not marketed as YA, it would be perfect for teens or young adults who are interested in food and cooking or who just enjoy coming-of-age memoirs. Wednesday was my first top-down day! Love the weeping willows in bloom! There’s nothing I like better than a road trip…or, if I can’t head out of town at the moment, a good road trip novel. I don’t know if you would call the epic road trip at the heart of teen/YA novel Mosquitoland by David Arnold a good road trip, but it is certainly a good novel with a very likable narrator and I thoroughly enjoyed the trip as I listened on audio. You know, right from the first page, that sixteen-year old Mim, short for Mary Iris Malone, has some serious problems. Her parents recently split up, her father remarried Kathy soon after, and the three of them moved from their home in Ohio all the way to Jackson, MS, which Mim has nicknamed Mosquitoland. With all this turmoil, it’s no wonder that Mim has been summoned to the principal’s office of her new school for a meeting with her dad and Kathy. Just outside the door, however, she overhears their conversation and learns that her mother is sick in Cleveland. Sick? Her beloved mother? Mim is devastated, not only by the news but by the fact that they didn’t tell her. So, rather than enter the principal’s office for her meeting, she turns around and leaves the school grounds. She walks home, grabs a few essentials in a backpack, and heads to the Greyhound bus station, where she buys a ticket with Kathy’s secret cash stash and begins her journey northward. The rest of the novel focuses on that journey, from Mississippi to Ohio, which if you’ve been on a US road trip yourself, you know is a long way, both geographically and otherwise. Along the way, she meets a lot of people – some kind, some strange, and some downright dangerous. These quirky characters populate the novel, alongside Mim’s sharp wit and honest observations, as she makes an important emotional journey, alongside her physical one. What makes this novel so engaging is Mim’s unique voice. The entire book is written as a series of letters or journal entries, though it isn’t clear at first to whom she is writing. As she observes the people around her and tells the convoluted tale of her travels, she also fills in small details about herself and her history. In this way, Mim’s full story only gradually becomes clear. 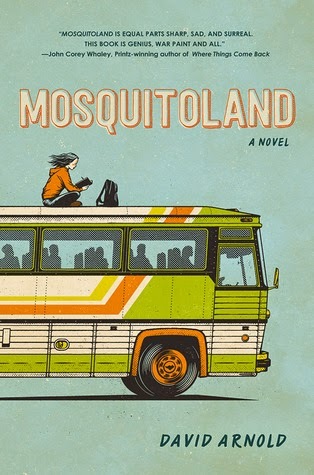 Besides sounding like a classic snarky teen at times, Mim is also heart-breakingly honest, as she tries to unravel the twisted pieces of her life that led her to the dreaded Mosquitoland. One reviewer described Mim’s narration as “kaleidoscopic,” which I thought was a perfect description (which I’d thought of it myself!). Her letters are often a sort of stream of consciousness, and you often don’t completely understand what she’s talking about until later in the story. In this way, the book is sometimes a bit confusing, but in a way that makes you want to know more. Perhaps it would be less so when reading the printed book rather than listening to audio, though the audio production was very well done. All in all, this is a compelling story of a journey made by a young girl to save her mother and better understand her own life. Both her mother’s and father’s histories affect her in ways she doesn’t understand at first but that become clear as she works out her thoughts and memories on paper. This is a unique, engaging story that kept me riveted until all the pieces fell into place, and both Mim and I finally understood. It's Monday 4/20! What Are You Reading? The weather this weekend was gorgeous (finally! ), but now it's a dark, gray, rainy Monday - makes me want to crawl back into bed with a good book! I finished And the Mountains Echoed by Khaled Hosseini, a very powerful novel. It's about a brother and sister in Afghanistan who are separated as children, and it is just as good as his first two novels. It's a very compelling and well-written story. Unfortunately, I realized I had the dates wrong and won't be able to go to my book group's discussion of it next week. Now I am reading Fram by Steve Himmer, a novel that is one of the selections for the Booktopia event I am attending next week in Vermont, hosted by my favorite podcast, Books on the Nightstand. My mother and I were wait-listed for months and just got into the event last week, so I am very excited! The book is unusual so far but intriguing, and I can't wait to meet the author next week! I finished listening to Fish in a Tree by Lynda Mullaly Hunt, a middle-grade audiobook about a girl named Ally who struggles because she doesn't fit in and is guarding a secret. It was excellent and a great way to bring attention to a serious and often-overlooked learning disability. I haven't started it yet, but I will upload my next audio book to my iPod today: Rainey Royal by Dylan Landis. This is one of the authors who will be at Booktopia next week, so I am excited to listen to the book and discuss it with the author! I also started a new graphic novel, Asterios Polyp by David Mazzucchelli. It is interesting so far, with a unique drawing style. My husband, Ken, is reading Life After Life by Kate Atkinson, which thrilled me to no end since it is one of my favorites! I think he stayed up late last night to finish it - I can't wait to talk to him about it! Jamie, 20, started Mountain Man by Keith C. Blackmore, a book his dad lent him, to continue his Zombie obsession, now that he has finished what he needed to read of The Iliad for his World History class. Craig, 17, is reading The Great Gatsby by F. Scott Fitzgerald for his American Literature class, using my old copy from high school filled with my scribbled notes which he says is "just like the Half-Blood Prince!" He says it's pretty good so far, which is high praise from someone who claims not to like reading anymore. 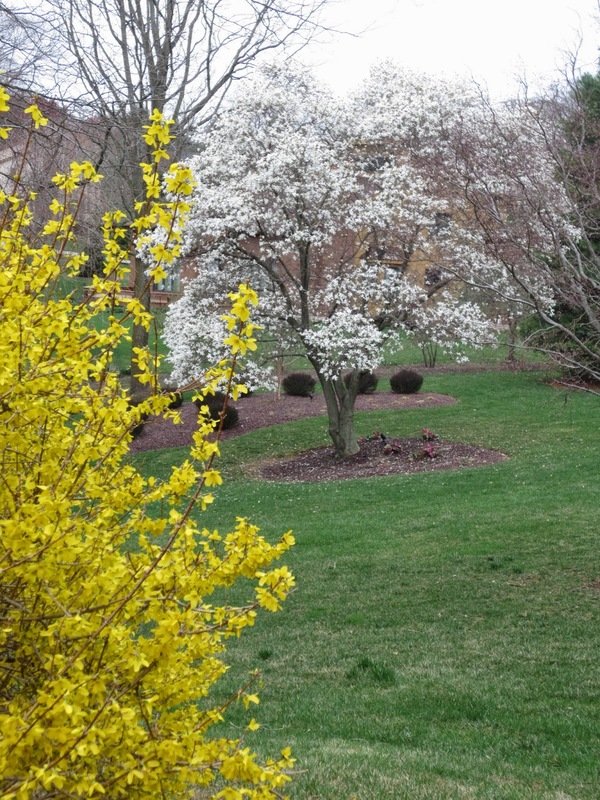 Saturday Snapshot - spring has finally arrived in Delaware! 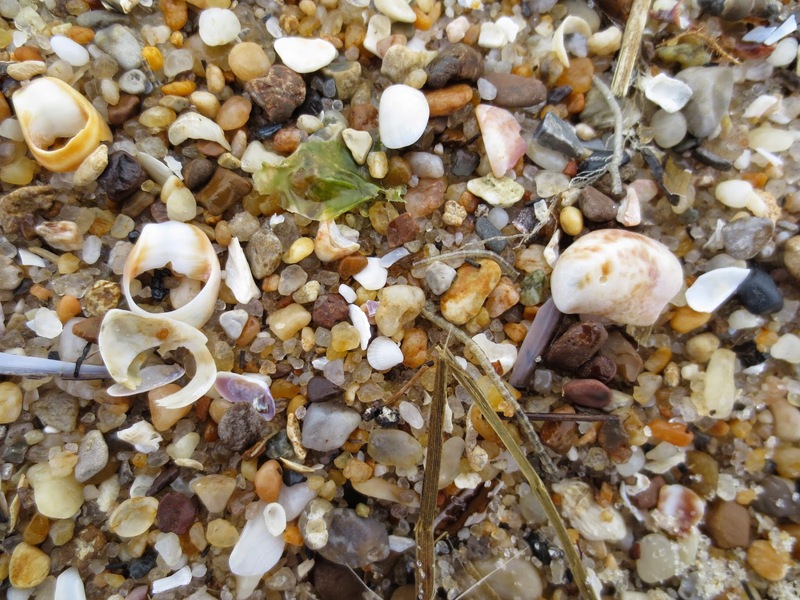 Last week, my husband and I took a spring break camping trip to the beach, two hours south of here. Unfortunately, it was in the low 40's and raining the whole time! The good news is that it was perfect weather for bookstore browsing (and visiting some of our favorite restaurants, too). We spent a pleasant (and warm and dry) couple of hours at our favorite bookstore. 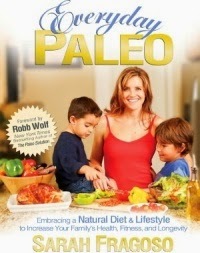 I found a new cookbook while we were there, Everyday Paleo by Sarah Fragoso. My older son and I switched to a Paleo diet about a year ago for medical reasons (we both have an immune disorder, and it is supposed to be good for reducing inflammation and immune problems). It's really not quite as strange as it may sound to the uninitiated - the focus is on fresh, whole foods, nothing processed, lots of veggies and fruit, no grains or dairy (we are intolerant to dairy anyway), and only natural sugars. Sunday, with my college son, father-in-law, and my younger son's girlfriend all here for dinner, I made a nice big crockpot meal, Perfect Pork Pot Roast. My family loves pork roast and loves traditional pot roast, so this seemed like a good choice for a Sunday dinner. Here is a version of the recipe from the author's website (though a bit different than the one in the cookbook). I had my doubts about the recipe, just because I wouldn't normally include tomatoes with a pork roast, but it turned out delicious! I added a few more veggies (as usual!) - some turnips, extra carrots, and a few red potatoes (strict Paleo doesn't include potatoes but medically, we are allowed red-skinned potatoes once a week). Everyone loved it! In fact, I planned on it for two meals, and the crockpot was full to the very top, but I had to add extra veggies the next day for our left-over dinner. Even more amazing, just yesterday - almost a week later - my 17-year old son said, "You know that pork roast you made last weekend? That was really good. I especially liked the sauce." Wow, definitely a keeper! (the boy and the recipe). During the week, I made Pecan-Crusted Chicken, the first dinner recipe in the cookbook and the first one that caught my eye at the bookstore. It was very simple, dipping chicken breasts in a brown mustard-honey mixture, then in crushed pecans, and baking them in the oven. I served it with two vegetables on the side. Everyone enjoyed it, including my son, and my husband said it was his favorite of the new recipes we tried this week. My favorite recipe of the week was Puerto Rican Beef, a flavorful mix of veggies and ground beef with a fabulous blend of spices served over mashed sweet potatoes. Again, here is a recipe from the author's website that is very close to what is in the cookbook. My son didn't really like this one, and my husband said he would prefer it with less kale (I used a whole bunch, as indicated in the recipe but would cut it back a bit next time) and without the sweet potatoes. As for me, I LOVED it! The mix of vibrant flavors was delicious, and I thoroughly enjoyed eating the leftovers for lunch the next day. Today, Sunday again with a crowd coming for dinner, I am making another crockpot meal, Mexican Slow Cooker Stew. As usual, I added some extra veggies - this recipe really didn't have any vegetables other than onion and diced chiles, so I also chopped a red bell pepper and some carrots and added them to the crockpot, too. I also used diced chipotle peppers in adobe sauce in place of the chipotle powder called for in the recipe. It's cooking now, so I'll let you know next week how it comes out, but it sure smells good! Chipotle is one of my favorite flavors, so what's not to like? Bottom line is that we are enjoying this cookbook so far. 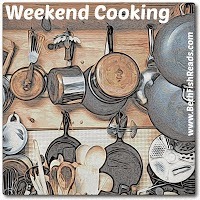 Overall, the recipes are enticing and easy-to-follow. I am enjoying the new flavors and meals - often, with Paleo, we just eat some sort of meat or fish with two veggie sides, which my son says is boring! I think it is a nice companion to my other Paleo cookbook, Against All Grain, which we tend to use more for baked goods, goodies, and sides. Everyday Paleo has lots of great main dish recipes which is just what I was looking for. It also has sections in the front introducing the Paleo diet and in the back on meal planning and exercise. The layout is easy to use - I especially like the first page of every chapter that shows a small photo of each recipe, which makes it easy to find what you are looking for. My only complaint is the same one I have for almost every cookbook - why on earth are cookbooks not all spiral-bound so they will lay flat?? Trying to keep a cookbook open to the recipe you are making is nearly impossible. Are you listening publishers? Overall, I am very happy with Everyday Paleo so far and think we will use it a lot - there are still plenty of recipes in it that I want to try! Finally, some green in the trees! My favorite - forsythia - love that bright pop of yellow! 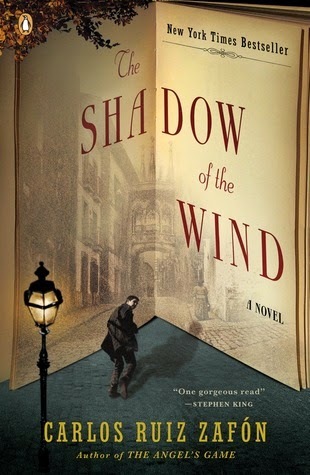 I read The Shadow of the Wind by Carlos Ruiz Zafon for the first time about 5 years ago for one of my book groups. I didn’t love it and was surprised by how much other group members enjoyed it. Since then, I have heard so many rave reviews and so many people who rate it as one of their favorite books that I decided to give it another try last month when my neighborhood book group chose it. 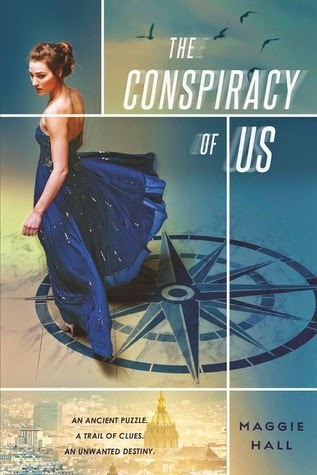 I’m glad I gave it a second chance because I really enjoyed the very bookish, clever, story-within-a-story this time. The novel begins in Barcelona in 1945 when 10-year old Daniel is taken by his father, a bookseller, to a mysterious place called the Cemetery of Forgotten Books. He tells Daniel that the place is a secret and allows him to choose one book from among its thousands and thousands of shelves in twisting galleries. Daniel chooses a book at random that will end up changing his life dramatically. It’s a novel called The Shadow of the Wind by an obscure author named Julian Carax. That night, Daniel compulsively reads the compelling novel from beginning to end, with the rapture that any book-lover will recognize. As it unfolded, the structure of the story began to remind me of one of those Russian dolls that contain innumerable ever-smaller dolls within. Step by step the narrative split into a thousand stories, as if it had entered a gallery of mirrors, its identity fragmented into endless reflections. 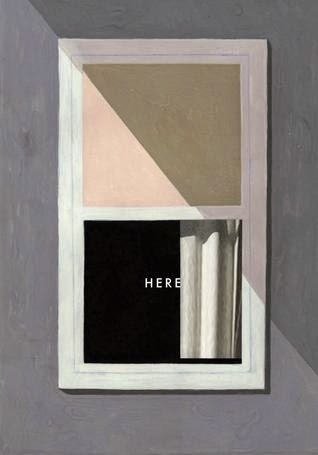 In the first of many parallels between the real novel I read and the fictional novel at the center of the story, its complex plot unfolds in much the same way. 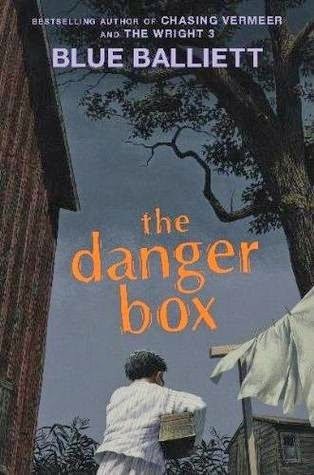 Daniel’s story continues in the 1940’s, as he feels compelled to investigate the novel and its mysterious author, while it becomes clear that someone wants to destroy it. At the same time, the reader also begins to learn of Julian Carax’s (the author) own tragic life story years earlier, beginning when he was a child much like Daniel in Barcelona. History is woven in with the Spanish Civil War and the repercussions of that which continue to Daniel’s time. It’s all a deliciously convoluted story within a story within a story, filled with mystery and suspense, romance, history, and drama. For mystery lovers, there is plenty here to sink your teeth into, as Daniel investigates what became of Julian Carax and his childhood friends and who wants to destroy the author’s works, with lots of red herrings along the way to keep things interesting. All of this is set against the backdrop of Barcelona, described with rich language in a way that makes you feel as if you are right there with Daniel, walking its twisty streets. Add potatoes and carrots to a saucepan with enough water to just cover the vegetables. Bring to a boil, then cover and simmer for 15-20 minutes or until fork-tender. In a large skillet, sauté onion and bell pepper in olive oil until soft. Add ground beef to skillet and sauté until brown. When carrots and potatoes are cooked, drain them and add to the skillet. Add salt and pepper to taste. Later in the week - we've never seen the ocean this rough! Hope you are enjoying a wonderful weekend! The sun is finally out here! March was unusual here in that it was more winter than spring. It was also an unusual reading month for me because I spent more than two weeks working on a book that I never finished! But I fit in lots of audio books and a few shorter books as well. That's seven books total - not bad for spending so much time on one book. I read just wo adult books, one graphic novel and one nonfiction. I listened to four audiobooks (! ), three for teens/YA and one for middle-graders, and I read one middle-grade novel. Interestingly, my two favorite books last month were the middle-grade novels. Both were excellent, though I think that Finding the Worm was my favorite. Then again, Mosquitoland was really good, too! 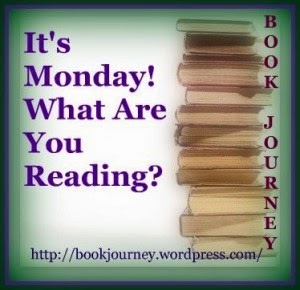 I added five new states this month to my 2015 Where Are You Reading Challenge. I added just one book to my Mount TBR Reading Challenge 2015 - really need to read more off my shelves! I listened to four more audio books for my 2015 Audio Book Challenge, and added one more book to my 2015 Nonfiction Reading Challenge. No classics last month or anything new for the Travel the World in Books Challenge. What was your favorite book(s) read in March? It's Monday 4/13! What Are You Reading? It's Monday 4/6! What Are You Reading? New Essay on Mamalode Today!